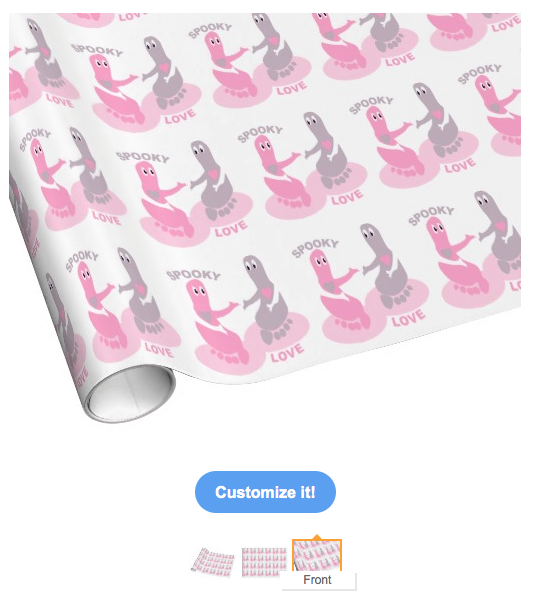 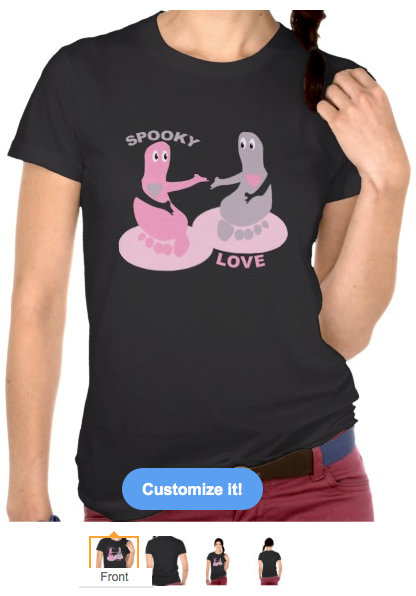 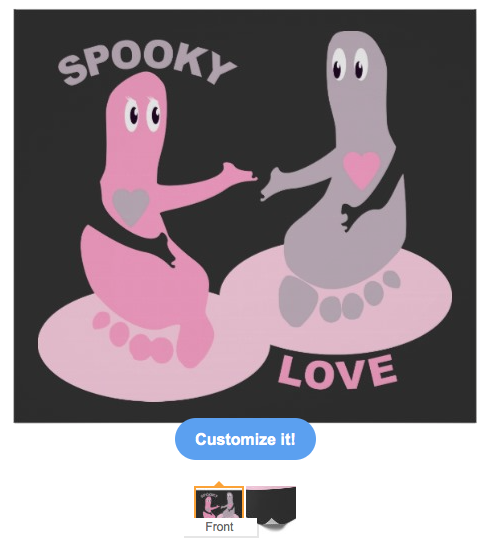 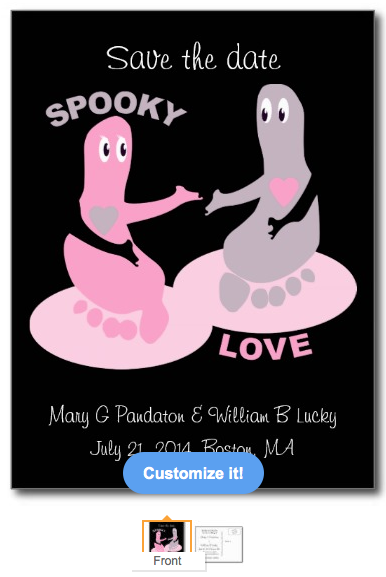 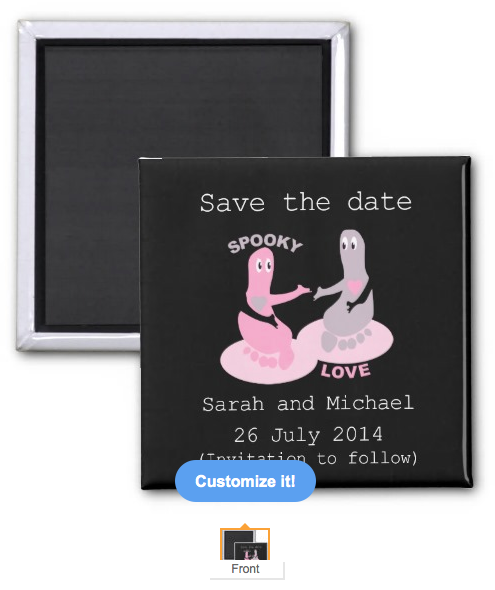 This ghost design is on a range of products in my mailboxdisco zazzle store. 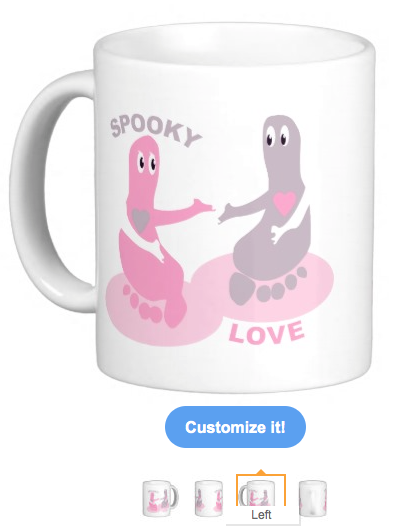 A fun image made from foot prints. 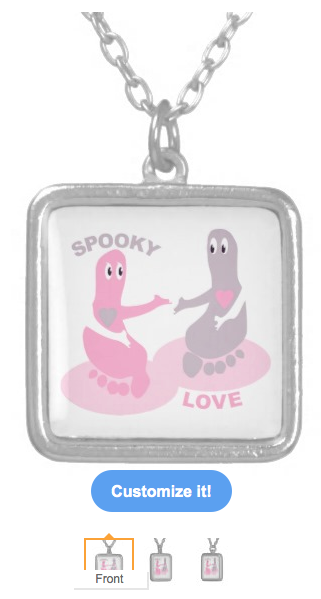 I made these into a male and female ghost, pink and grey, reaching out to hold hands. 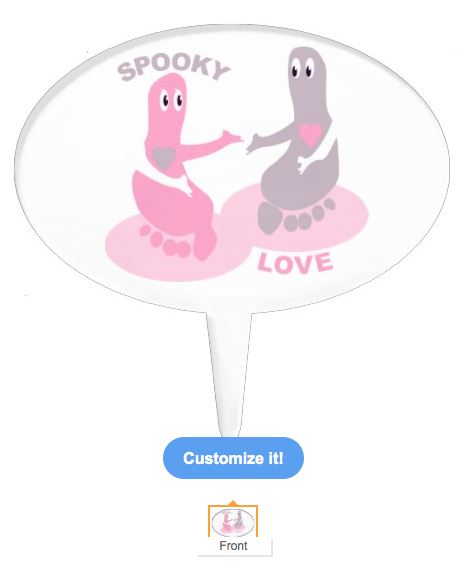 Their hearts can be seen as they look at each other. 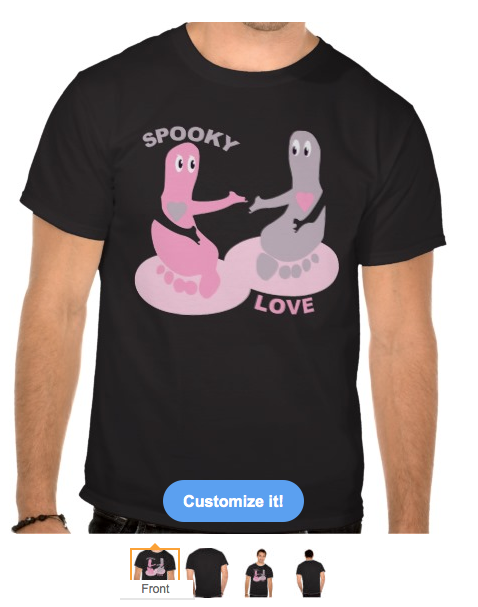 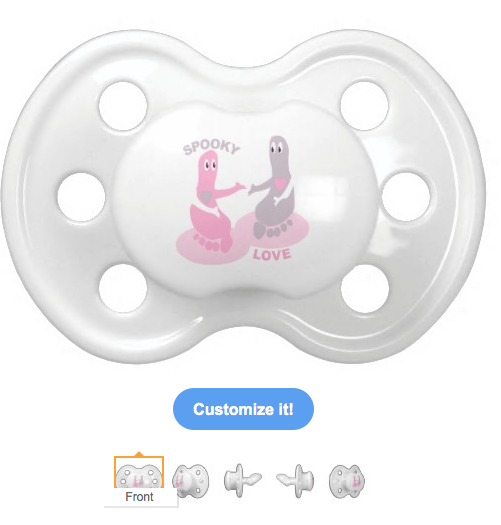 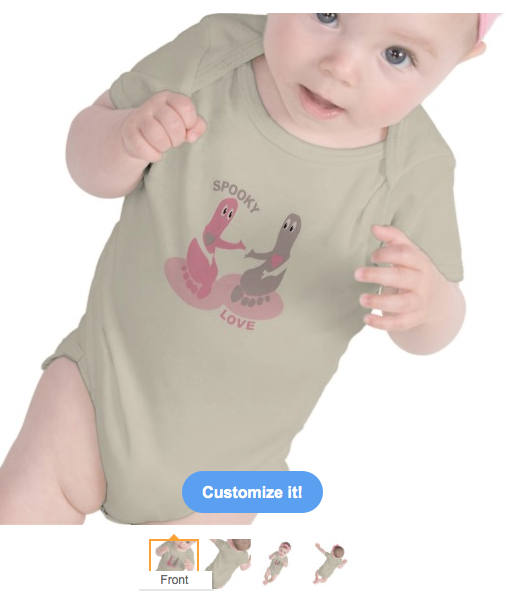 The text reads spooky love. 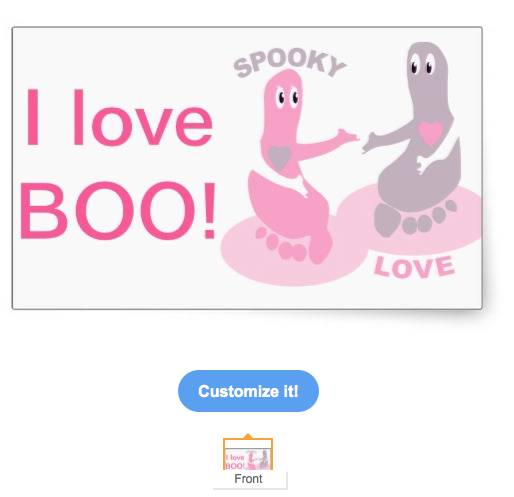 I made this with valentines day in mind but it could be used halloween or for many other occasions.